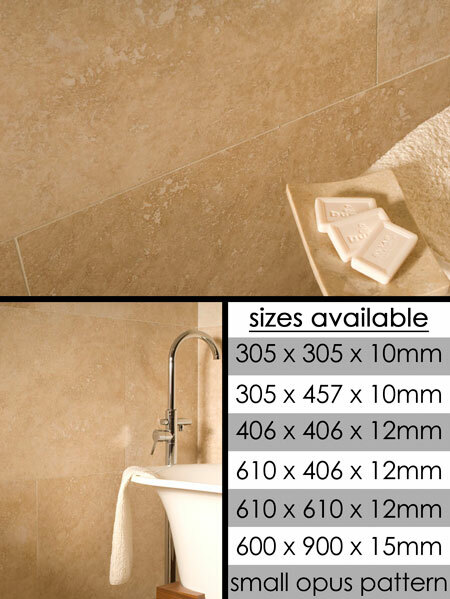 A light cream filled travertine flooring tile with straight square sawn edges is shown here as a 610mm x 406mm x 12mm tile. This light cream travertine floori tile is also available as a random Opus flagstone pattern floor. * 5 x tile size combinations.